On 9 August, four days after the New Moon (on 6 August 2013), the Moon becomes Crescent. The Sun remains in Leo, while the Moon gradually leaves Virgo and moves in Libra, forming a sextile aspect with the Sun. The Moon leaves Virgo at 15:07, 10 August 2013, and remains in Libra till 22:17, 12 August 2013. This aspect involves two complementary signs (Leo and Libra), sharing the same polarity (positive), yet not the same element (Fire and Air). They work harmoniously, providing mutually beneficial opportunities from different perspective, as long as there is awareness and clarity of intention. In the previous article on the New Moon (click here for details), I suggested to focus on your intention, on what you truly wishes, no matter whether this appears hard to achieve or if it even just a fantasy. 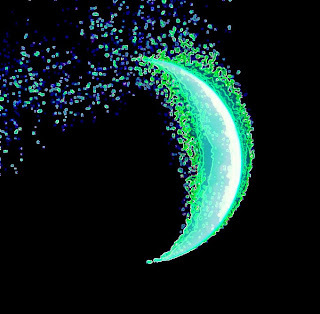 When considering intentions at New Moon it is essential to let go any limiting idea. This is not the time to be pragmatic or to be concerned about how to accomplish things. It is simply the moment to be totally receptive to your visions, to what provides joy and motivation in your life. Yet things start to change with the Crescent Moon. Once the visioning process has been honoured, the next stage involves refining the intention, orienting it towards manifestation and understanding what could be its practical implications. The ideal context for this process is during the Crescent Moon, while the Sun is in Leo and the Moon in Libra. The Moon in Libra helps us to integrate our visions with the ordinary reality. Here the first primary action may involve communicating your intention, taking measures so as to convey what you want to the people and environment around you. During this stage, the aim is to be coherent with one’s vision, gathering information, analysing, planning, exchanging ideas, balancing, preparing whatever is necessary before taking action and then… act! Yet, this action, including our communication needs to be in the spirit of Libra, gentle, harmonious, diplomatic, coming from the heart. We shall never learn to feel and respect our real calling and destiny, unless we have taught ourselves to consider every thing as moonshine, compared with the education of the heart. This is still a receptive stage, in which further elements related with the vision received on the New Moon continue to emerge. If nothing significant was received during the New Moon, things may change during the Crescent Moon, and the vision may come up during this time. If, on the contrary, your visions were very relevant, you may experience a shift of perspective and a fall of tone. Whatever the case, keep the connection with your vision and intention, and if you need to decide between doing something to support your vision or not, it is advisable to do something. 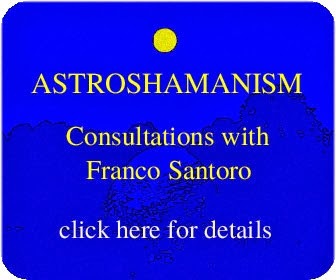 For details on individual consultations with Franco Santoro, featuring astroshamanism, soul retrieval, soul purpose, astrology, manifestation, astroshamanic touch please contact info@astroshamanism.org or click here.